Anyone that knows about Japan or has ever visited knows how vital public transportation is to everyday life. The train systems here are such an essential part of life that all but 6 of the 51 most busiest train stations in the world are located in Tokyo! 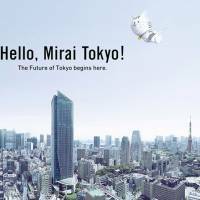 That being said, those of you who live in Tokyo have probably at some point or another caught glimpses of the new ad campaign launched by Tokyo Metro last month, informing riders of the Ginza Station Design Contest and ongoing Ginza line renewal project. 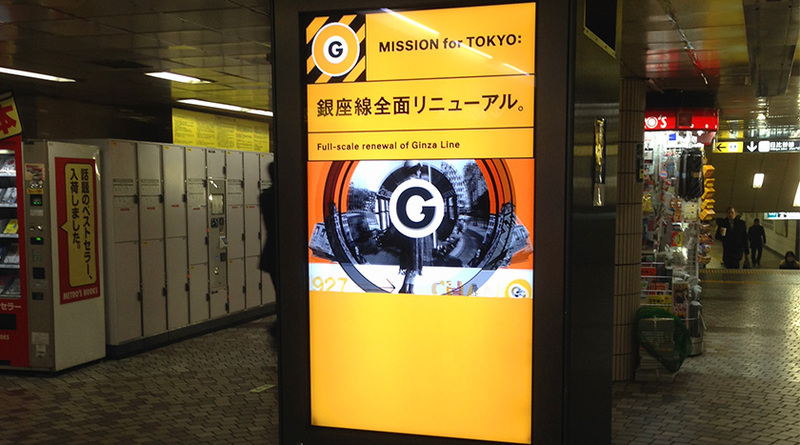 The ads are featured in every station on the Ginza line in various mediums including print, digital posters (such as the image above), videos on the train, a comprehensive website (not responsive unfortunately) and more. 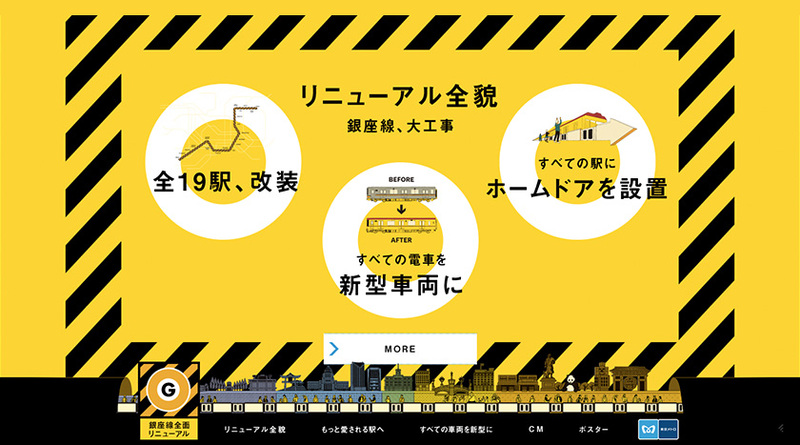 The website includes information about the renewal project and concept, which aims to divide the stations on the Ginza Line into five major areas, the Shitamachi (old downtown) Area, Shougyo (commerce) Area, Ginza Area, Business Area, and Trend Area, and redesign each station according to the theme for the corresponding area. 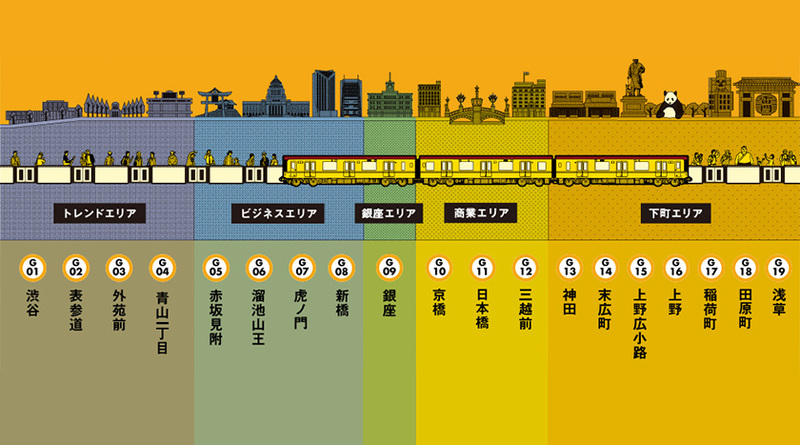 Illustration that depicts each of the 5 major areas that the Ginza Line will be divided into. Each area will have a theme, and each station will be redesigned with their corresponding areas/themes. 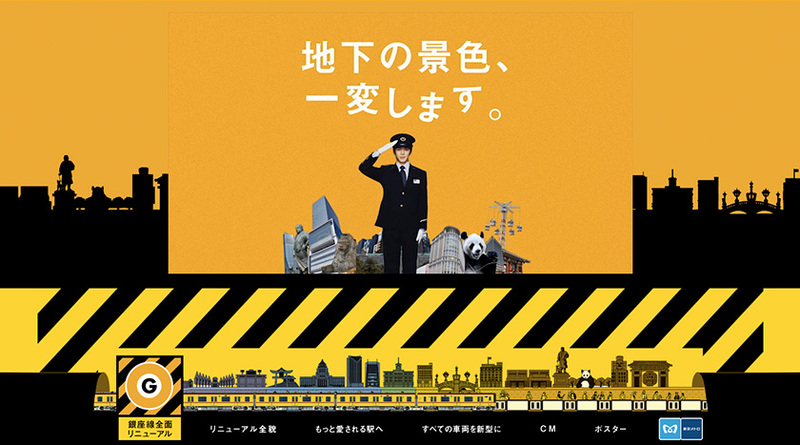 Image from the Ginza Line Renewal website. 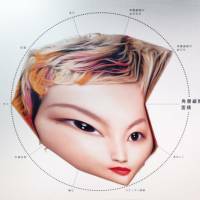 The site is informative and fun to look at. 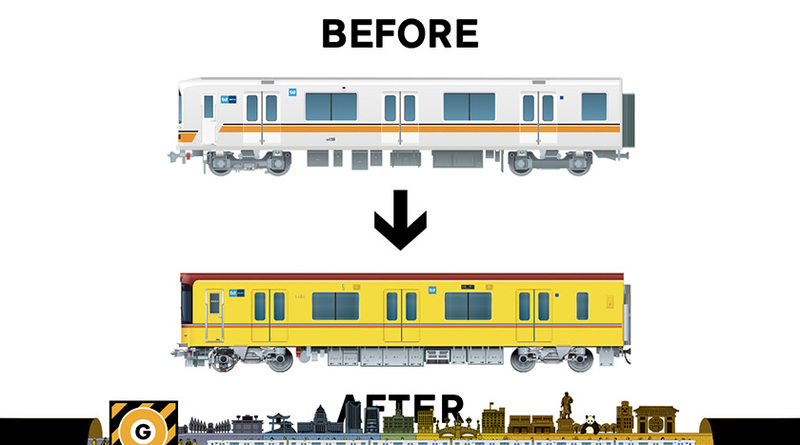 The campaign also plans to repaint all of the cars on the Ginza Line to the color pallet of the original Ginza Line introduced in 1927. Collection of posters for the campaign, featured on the website. Another fun page from the website, explaining the overall concept for the renewal project. 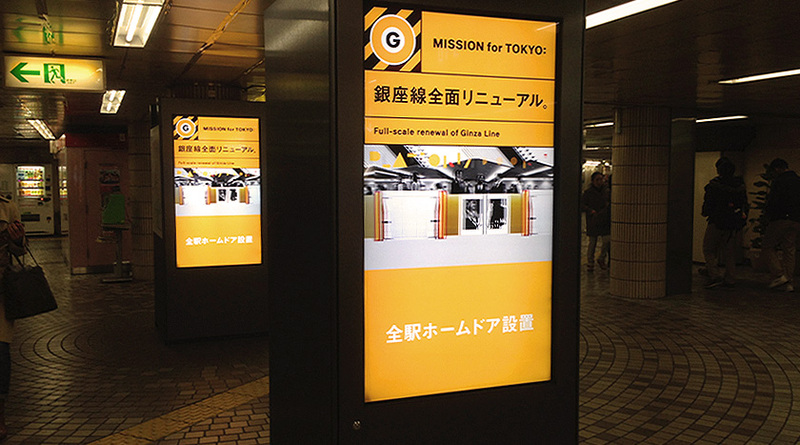 We particularly like the simple and effective identity developed for the campaign, which pairs the Ginza line’s warm golden-yellow color with that of the standard yellow and black associated with construction. A brief 30 second CM was also developed for the campaign and is often featured in stations and train TVs. In addition to the CM, 26 different posters were created to feature in station posters, online ads, etc. 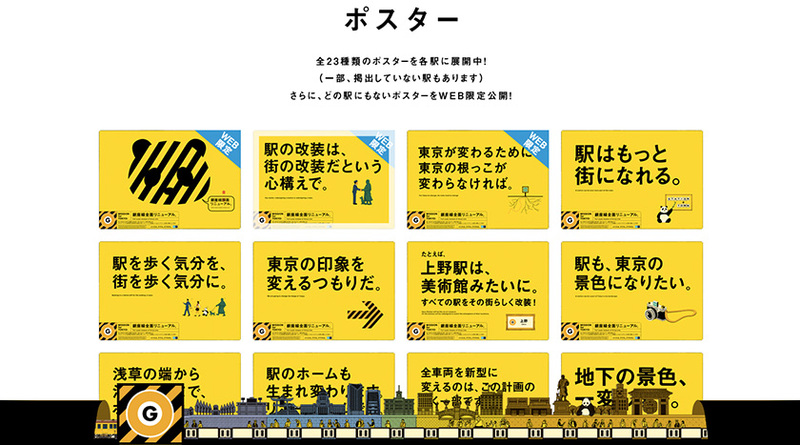 Here are just a few of the posters, all of which can be found on the Tokyo Metro website. “Long-awaited renewal.” (a play on words in Japanese as the word for city, “machi” sounds the same as the root form of the verb “to wait”, “machi”. The design should focus on the connection with earth/nature and use the space so that even though you are below ground it feels as if you are above ground. For all you sleep deprived architects out there looking to make your mark, you still have about 3 weeks to get your designs in. Brew up a pot of coffee and get to designing!